The annual AAFCA Awards, presented by the African American Film Critics Association, celebrated its 10th anniversary on Wednesday night. 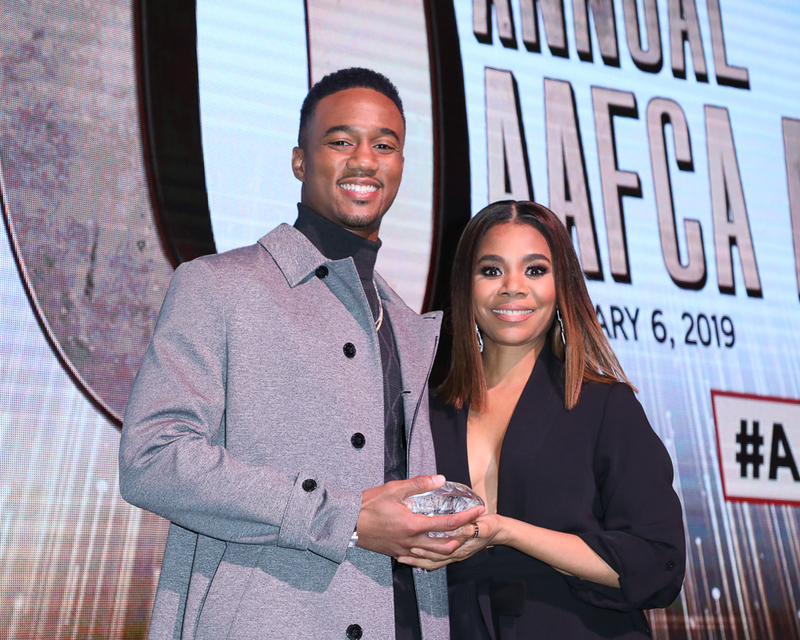 On Wednesday night, the AAFCA Awards, presented by the African American Film Critics Association, celebrated its 10th anniversary at the Taglyan Complex in Hollywood, where trophies were handed out to winners and special honorees. Opening the festivities was Ava DuVernay presenting the AAFCA Best Director award to Ryan Coogler. 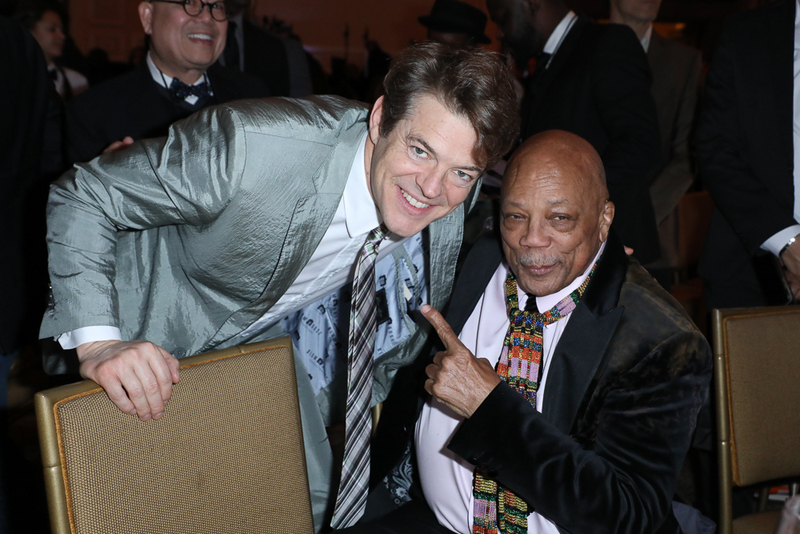 Hosted by actress Tichina Arnold, the event’s highlight was music icon Quincy Jones receiving the inaugural AAFCA Stanley Kramer Award, which was presented to him by Karen Kramer, wife of the late director-producer. Other key wins for the evening included Regina Hall (Best Actress winner for “Support the Girls”), Amandla Stenberg (Best Breakthrough Performance for “The Hate U Give”), John David Washington (Best Actor for “BlacKkKlansman”), Rashida Jones and Alan Hicks (Best Documentary for “Quincy”), and OWN TV series “Queen Sugar” (Best Drama Series). Previously announced, at the organization’s fifth annual AAFCA Special Achievement Awards luncheon at the California Yacht Club in Marina Del Rey, “Black Panther” costume designer Ruth Carter was given the Nissan Innovator Award; “Crazy Rich Asians,” the Game Changer Award; HBO’s Senior Vice President of Talent Development, Kelly Edwards, the Salute to Excellence Award; Alana Mayo, Head of Production at Michael B. Jordan’s Outlier Society, the Horizon Award, which spotlights and celebrates a young executive on the rise; New York Times’ Wesley Morris, the Roger Ebert Award; and Tendo Nagenda, Vice President of Original Film at Netflix, the Ashley Boone Award, which is named after trailblazing studio executive Ashley A. Boone, and is presented to an executive who has distinguished himself within the industry with excellence. Overseen by AAFCA co-founders Gil Robertson and Shawn Edwards, presenters and guests at the 10th annual AAFCA Awards included Lakeith Stanfield, Franklin Leonard, Trevante Rhodes, Storm Reid, Salli Richardson-Whitfield, Colman Domingo, Wendy Raquel Robinson, Toni Trucks, the cast of OWN’s “Queen Sugar,” and many more. Established in 2003, the AAFCA is a body of black film critics from around the world, who place an emphasis on film and TV entertainment that includes the black experience, and storytellers from Africa and its diaspora. For more information on AAFCA and its programs visit http://AAFCA.com.